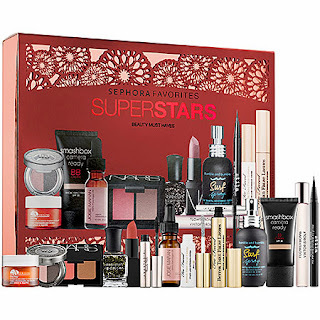 If you've been a faithful Sephora customers, you know that every year Sephora has friends and family sale which amounts to 20% off for everything in the store. For makeup/beauty enthusiasts like I am, 20% is a BIG deal to spend of high-end products because they're, rarely, if not never, on sale. But in 2012, Sephora changed its policy to have the 'Friends & Family' sale only for friends and family but they still have 20% discount for VIBs in the following month. I don't know what's the deal for 2013, but I'm assuming 20% off for VIBs will be coming up in November. On that assumption alone, it gives me reason to share with you my picks from the store. 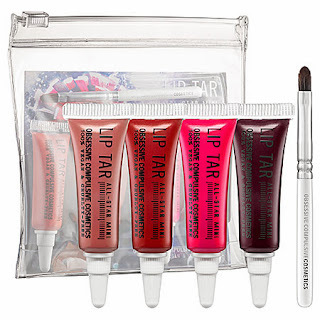 This is currently out of stock in the Sephora's website, but I'm guessing it will be back in stock by next month. I remember how NAKED/NAKED 2 palettes were huge last year. 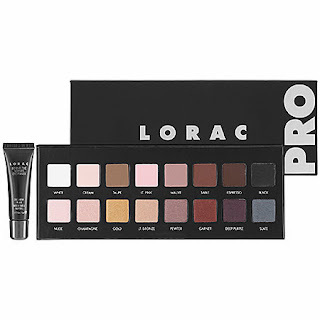 I've mentioned this several times already, I prefer Lorac Pro palette because it has more variety in terms of colors and looks you can create. Plus the pigmentation is amazing. 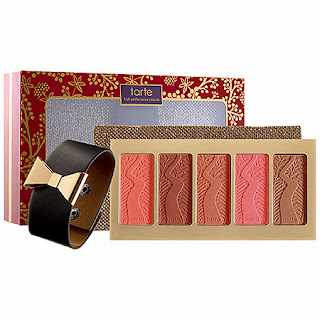 You know how I love Tarte amazonian clay blushes. They're amazing, and having them all in one palette is just perfect for dollar saving! This palette comes in 4 blushshades - dollface, dazzled, darling, crave and 1 bronzer in park avenue princess. 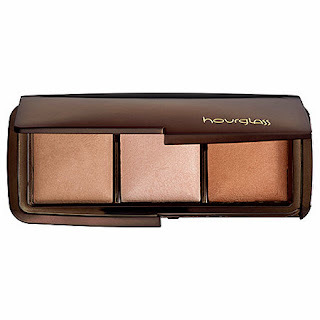 This comes in 3 different highlight shades that just perfect. These won't make your face like a disco ball. Hourglass really does a great job in creating a perfect highlighter combo. I used this in my last LOTD post. You don't have to like every single product in this kit. 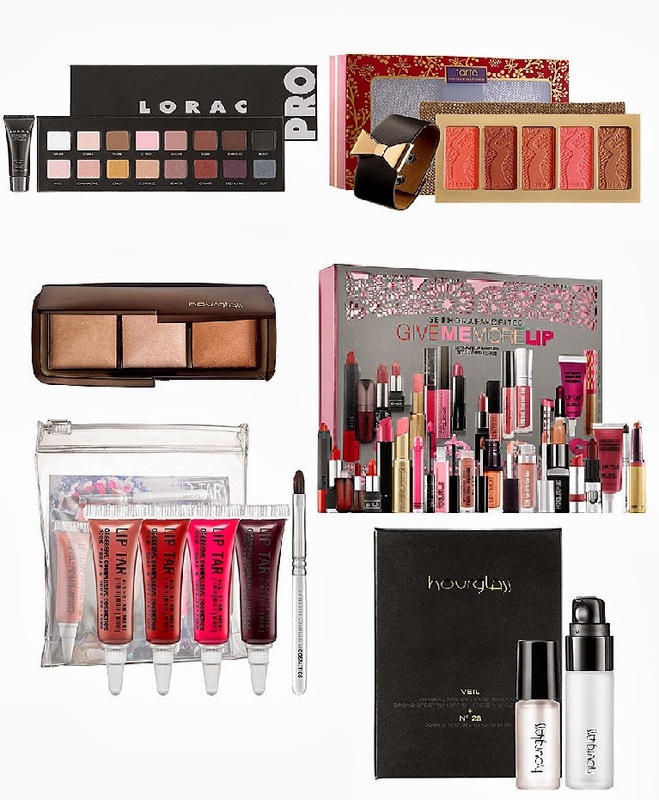 For the price of two or three products that you actually will buy/try for yourself is worth the spend. Most of them do come in full-size rather than mini sample size. For more details you can watch GlamLifeGuru's video. Some of the things in the kit that I'm really excited to try are Josie Maran 100% Pure Argan Oil, Nars Blush & Bronzing duo, Origins GinZing eye cream and Smashbox BB Cream. I've been wanting to try these ever since Emily mentioned them in her video. Obssesive Compulsive is a brand that's really against animal cruelty, which is a huge plus. This kit comes in 4 different shades in mini sizes, which I still think you can get a lot of use from considering they're "a little goes a long way" kind of products. Hourglass primer is the bomb! I have both the primer and serum in deluxe size, but I haven't tried the serum yet. 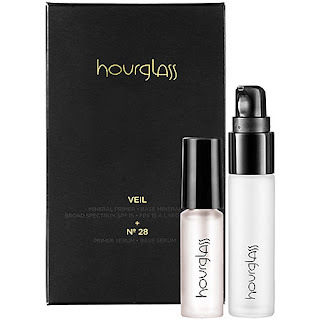 For the price, I think it's a good start to try hourglass products.